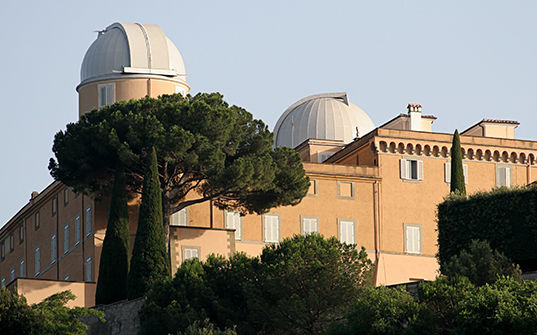 ROME: Papal audience in the Vatican (subject to availability), visit the four Major Basilicas of Rome, and the Papal summer residence in Castel Gandolfo. Attend Mass Mass this morning at SANTA MARIA DELLE GRAZIE (Old Church), then visit the FRIARY of Padre Pio, including his tomb, cell, confessional, and the PADRE PIO PILGRIMAGE CHURCH (New Church). 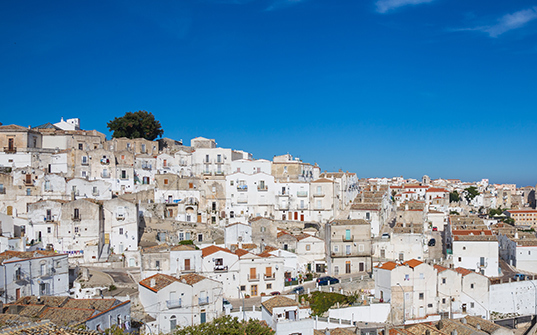 Afterwards, take a short drive to the nearby SHRINE OF MONTE SANT’ANGELO, one of Christendom’s most celebrated shrines, where St. Michael the Archangel appeared in 490, 492, and 1656. 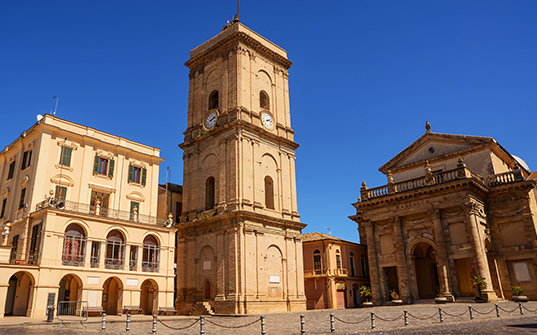 Visit ST. FRANCIS’ church in Lanciano, home of the Sanctuary of the Eucharistic Miracle, and attend morning Mass Mass. 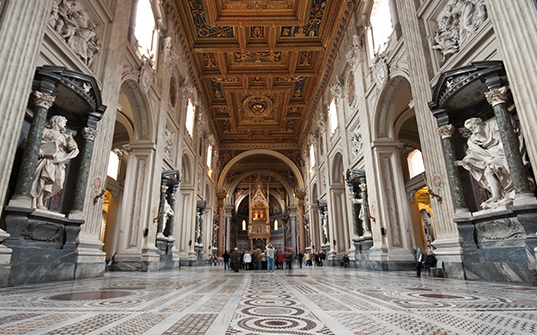 Continue to the LORETO SANCTUARY, including the HOLY HOUSE, where, according to tradition, angels transported the home of the blessed Virgin Mary. 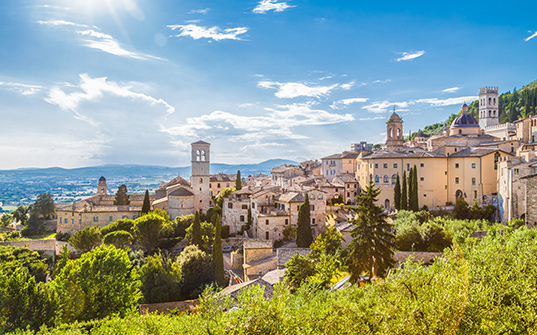 Arrive at the hilltop village of Assisi, home of St. Francis and St. Clare. Today, learn more about St. Francis, patron saint of animals and the environment. 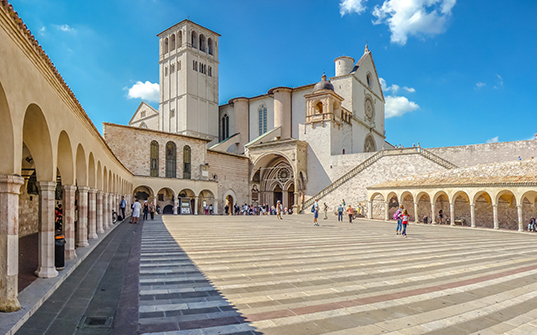 Attend early morning Mass Mass at ST. FRANCIS BASILICA, famous for its 14th-century Giotto paintings depicting the life of St. Francis. 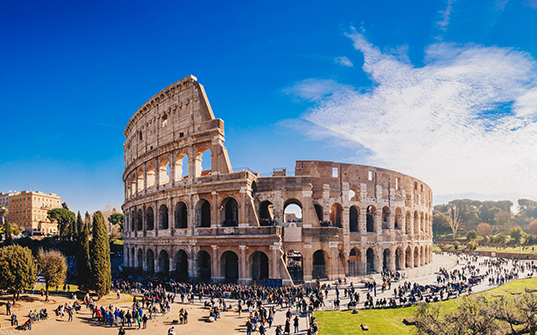 Meet your Local Guide and visit the UPPER and LOWER BASILICAS of St. Francis and the BASILICA OF ST. CLARE, founder of the Order of Poor Clares. 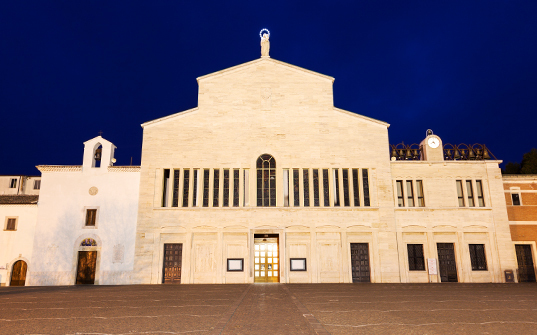 Next, visit the BASILICA of Santa Maria degli Angeli, situated at the foot of Assisi’s hills and protecting the Porziuncola, where St. Francis is said to have founded the Order of Friars Minor in 1209, and the Cappella del Transito, where the saint died in 1226.